In preparation for the upcoming Boneyard, I've compiled some original art. The general theme is "prehistoric wierdness," although a few of the critters are just incredible examples of convergence (which is wierd). So prepare to be amazed! This is by far and away my favorite dinosaur. 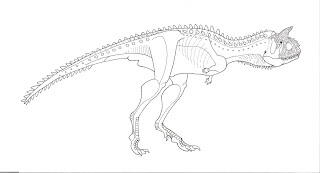 Abelisaurs, as a group, are my favorite theropods (as readers of the original When Pigs Fly surely know), and Carnotaurus seems to have been the pinnicle of these Gondawanna carnivores. The Abelisauridae is characterized by many odd features including a blunt yet tall skull, arms that make Tyrannosaurus look like a gibbon, and incredible head ornamentations. Carnotaurus is no exception, featuring large bull-like horns atop the skull, horny projections along the nasals, and skin impressions showing rows upon rows of tough scales and largish pointy scutes. The beastie was featured in the Disney movie Dinosaur and was, perhaps, the only dinosaur that was portrayed with any level of accuracy (aside from making it too big). The only other member of Carnotaurus' tribe, the Carnotaurini, Aucasaurus, oddly enough lacks the big brow horns of its sister species. This picture could probably be more detailed, but I honestly couldn't decide whether to give it dinosaur-like integument or crocodilian integument. One might think that this decision would be easy enough. Effigia is a dinosaur, right? Well, that's the amazing part--it's a crurotarian. That means Effigia is a whole lot closer to modern crocodilians than any dinosaur. Even stranger is the fact that Effigia turns up in the same place and time as Coelophysis, a Late Triassic theropod dinosaur. Looks like crocodilians figured out the bipedality thing a little too late, as theropods by then already had their foot through the door. Still, Effigia is my favorite example of convergent evolution. Why its close relative, Shuvosaurus, was discovered, it was thought to be an incredibly primitive ostrich dinosaur. But an ostrich dinosaur in the Triassic? No way, right? Well, Effigia proved to be a sister taxon to Shuvosaurus, finally illuminating the latter's true position on the archosaur family tree. What's so fascinating is that Effigia has converged not just with theropods but also tetanurine theropods and the Ornithomimosauridae. 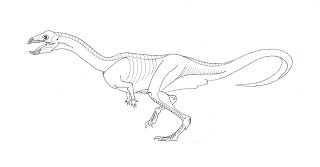 It has a toothless beak, booted pubis, tridacyl pes, and various other dinosaurian features. Were it not for Effigia's crocodilian ankle joint (which makes me wonder how it's able to walk upright), paleontologists might still think that it, and Shuvosaurus, are early ornithomimosaurs! Just ten years ago, the ancestry of whales was a total mystery of paleontology. They were mammals, sure, but from what branch of the Mammalia family tree did they originate? Whales give birth to fully-developed young (unlike marsupials), so they are surely placentals. The earliest well-known whale was the unfortunately named Eocene giant, Basilosaurus. However, that taxon is clearly far removed from its ancestor and gave few clues about its ancestry. Paleontologists did, however, notice similarities between the teeth and overall cranial builds of Basilosaurus (and its close relative, Dorudon) and mesonychids, a group of generalized hooved carnivorous mammals that were the Paleocene equivalent of wolves.Things changed, however, in 2001, when nearly complete skeletons of an early aquatic whale, Rodhocetus, were discovered. Although previous finds, including terrestrial Pakicetus and Ichthyolestes, as well as semi-aquatic Ambulocetus had shown the transition from land to water, Rodhocetus preserved ankle bones which showed a direct connection with the artiodactyl ungulates, far from the mesonychids and closer to modern deer, goats, hippes, giraffes, and pigs. Rodhocetus itself is unique in that it must have swam somewhat like an otter, but had much longer feet with which to propel itself forward. Its arms and hands were fairly short. This is the reverse from normal whales, in which the legs actually disappear completely in many taxa. Rodhocetus would have walked on the sides of its feet on land while it stood digigrade on its strong 2nd, 3rd, and 4th fingers. While Rodhocetus may have been bulkier than I interpret it above (fat stores and all), I drew it this way in order to show off the musculature and overall structure of the creature. I can hear you now--what's so special about a turtle? 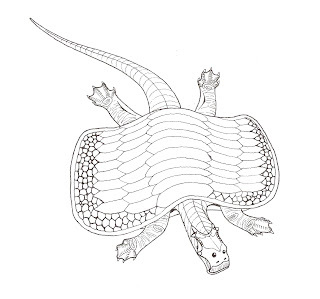 Well, friend, for one thing, this "turtle" has a ridiculously wide carpace that, as far as anyone can tell, is unique in that it's made of interconnected bony scutes instead of ribs. Also, it's got a pretty long tail for a turtle. It also has a long, but flat-faced skull in which the eyes and nostrils face straight forward. The animal's beak is complimented by a small row of balleen-like structures on either side of the jaw, making Henodus' diet a bit of a puzzle. Finally, and this is the wierdest thing--it's not a turtle. It's not clear whether Henodus is a turtle mimic or it's the other way around, but this bizarre animal is a member of the Placodontia, one of the less famous groups of marine reptiles. Placodonts were fat, heavy little diapsids who had tweezer-like incizors followed by big, flat molars and palate teeth which they used to grab and crush molluscs and brachiopods. Well, most placodonts did that. 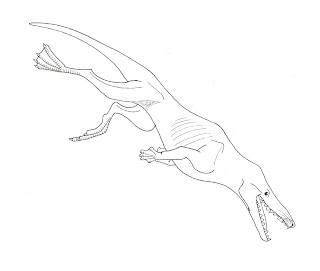 Henodus is a bit of a mystery, because its incizors were replaced by a large beak and it seems to have grown balleen along the sides of its mouth. Henodus is usually thought of as a kind of reptilian ray, living on the bottom of the seabed and filtering prey out of the silt and sand. Whether it really did this or not can probably never be known. But isn't it wierd? Also, this drawing took forever. Kudos to Darren Naish for sending me his placodont paper and better pictures of the bugger's skull and shell. I had to simplify the latter for my own piece of mind. I'm extremely proud of this picture. I drew and inked it (see below), then handed that picture over to fellow paleoartist Scott Elyard of Coherent Lighthouse fame to use his all-powerful knowledge of Photoshop to paint this lovely digital mural. Arizonasaurus is actually very close to Effigia--they're both from the same major crurotarsian group, the Poposauridae. 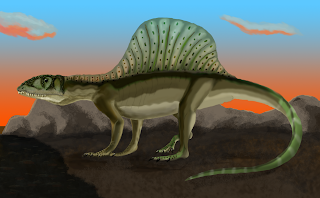 Arizonasaurus was fairly unknown until just a few years ago, when a nearly complete skeleton was unearthed in Arizona,* and revealed that the creature has a spectacular dorsal sail not unlike those of Dimetrodon, Edaphosaurus, Platyhystrix, Ouranosaurus, and Spinosaurus. Unlike all of those sail-backed critters, however, Arizonasaurus' sail begins caudally to the scapula. In most sail-backed animals, the neural spines begin growing taller at the cervical/dorsal contact, if not before. Thus, Arizonasaurus had a tall, yet oddly abbreviated sail. It also appeared to be plantigrade. Thanks again to Scott for painting this wonderful picture. And that's the tour, folks, through the Hall of Prehistoric Wierdness. I might start doing this on a regular basis, although perhaps not quite so many drawings all at once in future outings. Wonderful stuff Zach! I absolutely love the Arizonasaurus picture (although you stole my thunder; I was going to write about it today!). Still, excellent stuff. I'm still working on my sketch of an itchy theropod, but I don't know if I'll be brave enough to put it up. Anyway, wonderful work, thank you! no problems here. 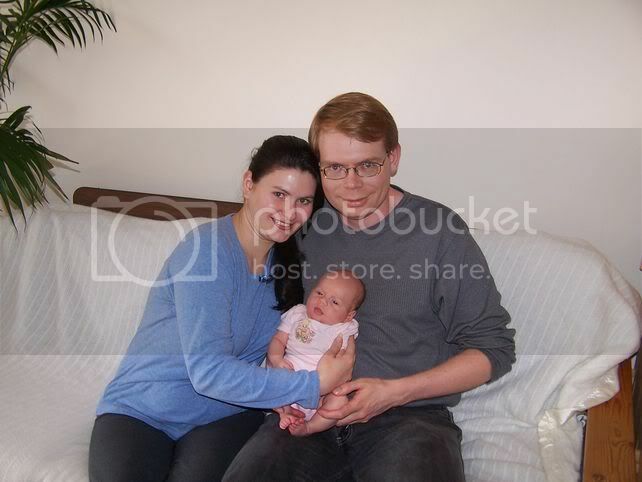 These are just damned kewl picts, Zach. Wow. Some feature I especially like on this reconstruction ist the sail, because the dorsal spines are not just naked bones with some skin on them, but still attached with dorsal musculature. The dorsal spines of many different animals are often compared to each other, especially Spinosaurus and Dimetrodon or Edaphosaurus. But actually they look quite different had had surely very different purposes. 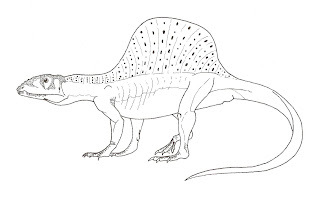 The elongate dorsal spines of Spinosaurus, Ouranosaurus and Edmontosaurus are actually nothing more than elongated dorsal spines. They are comparably narrow but long and still strong, and there is no difference to those parts which are normally attached to muscles and sinews, whereas those of Dimetrodon and Edaphosaurus are round and very thin, not to say fragile. There seems no good indication that any muscles or sinews were attached to them. Even if I don´t believe that Spinosaurus and Ouranosaurus had really thick hunchbacks, I can´t believe they had only thin "sails". I find this Arizonasaurus (which is now even available as a toy model)shows very good how the backs of Spinosaurus and Ouranosaurus could have looked.